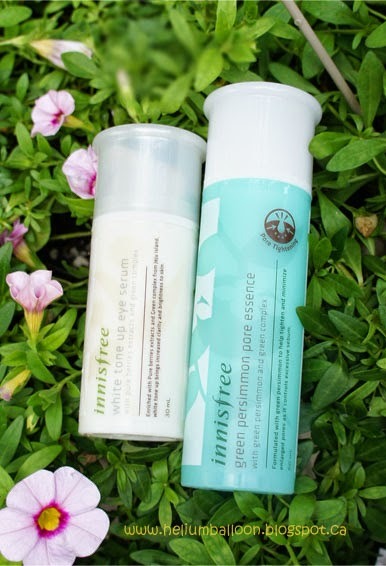 The two innisfree items I bought from w2beauty. 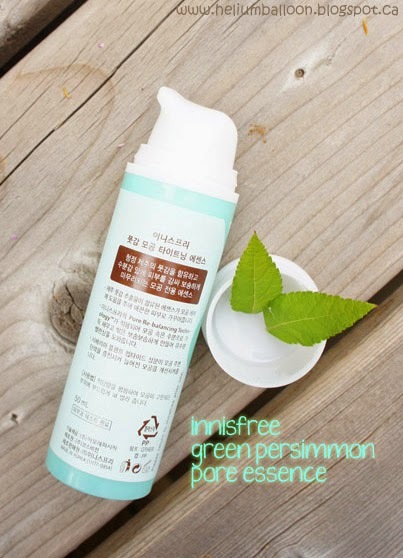 I purchased the Green Persimmon Pore Essence from w2beauty for $26.95 USD . The plastic cap on the bottle has fallen loose during transportation but was easily snapped back on. The bottle is plastic and the printing on it is soy ink. The product states that it is formulated with green persimmon to help tighten and minimize enlarge pores as it controls excessive sebum. It is dispensed by a bulky pump, which I don't find very impressive as it often dispenses products in a projectile trajectory ... flying off in unwanted directions. Consistency: It's a runny gel-like essence that is light-weight. Scent: I don't think regular orangey-red persimmons smell like much and certainly have not whiffed a green one. The scent reminds me of grapefruit -- you know the citrus smell. I guess that's what green persimmons smell like? Pretty pleasant actually. Application: spreads and absorbs very easily into the skin and does not leave any stickiness. 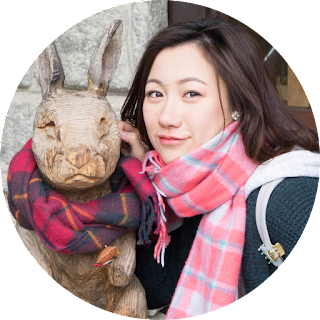 Effectiveness: Unfortunately, I have not yet witnessed any improvements in my pore size... while I am realistic and know that pore-tightening products do not produce miracles, I was hoping that it would at least show a tiny little bit of change. 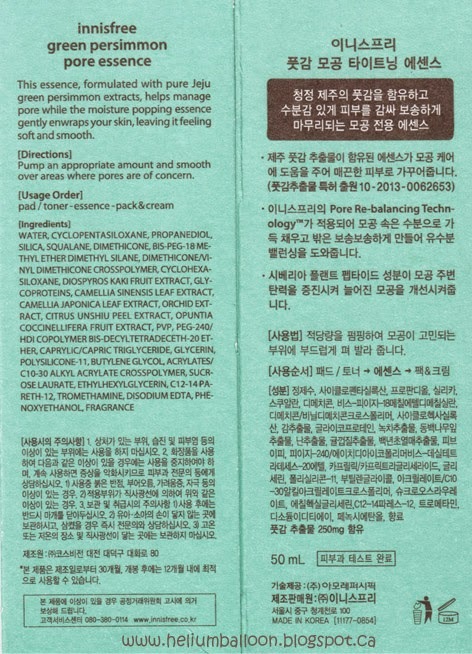 As for sebum control, I have noticed that my pores became silky smooth to the touch after absorption. However, because I normally have drier cheeks, I cannot comment on the oil-control effectiveness of this product. 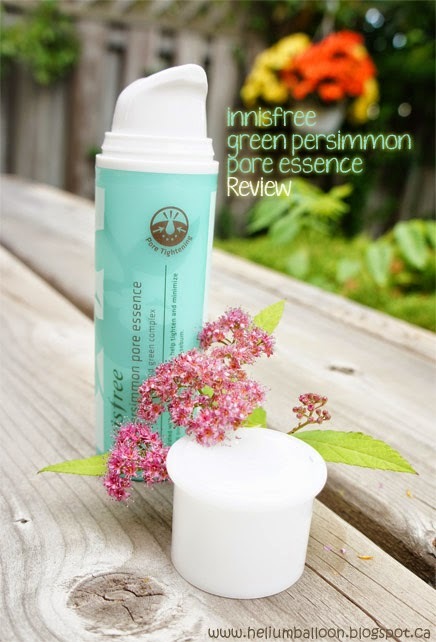 Comments: The innisfree green persimmon pore essence is a moderately-priced essence claimed to minimize pores and provide sebum control. It did not improve the appearance of pores over a month of continued usage. I currently use it for its moisturising properties and will not repurchase in the future.